Congratulations on your pregnancy! What an exciting experience to be embarking on! Every pregnancy and every baby is unique and need individualized care. I would be honored to assist and support you during the process of growing a new life, bringing that life into the world, and the birth of a new family. If you have a question or want to know more about my services please don’t hesitate to contact me! I believe birth is fundamentally a natural, healthy, physiological process. I believe that birth works best when undisturbed the majority of the time. I do acknowledge that at times the use of judicious intervention is necessary, beneficial, and increases the safety of mother and baby. I believe birth can occur safely in a variety of settings: both in and out of hospital. Women have the ability and right to determine what is best for them and their baby and to have accurate, evidence based information on all their options in order to make these decisions and to exercise true informed consent. I believe strongly in bodily autonomy. My goal in my work as a doula is to protect the memory of this birth for the parents, and to help them achieve a sense of empowerment, accomplishment and satisfaction. I believe it isn’t the details of what happens during a woman’s labor and birth but HOW she is made to feel, that ultimately creates a “good” birth. My goal is to help you feel like an active participant in your labor and birth experience and to exercise your bodily autonomy. I believe women can be trusted to make the choices that are best for themselves and their families. My goal is to help foster this self-determination. I have been passionate about childbirth and interested in pursuing a career related to it for many years. 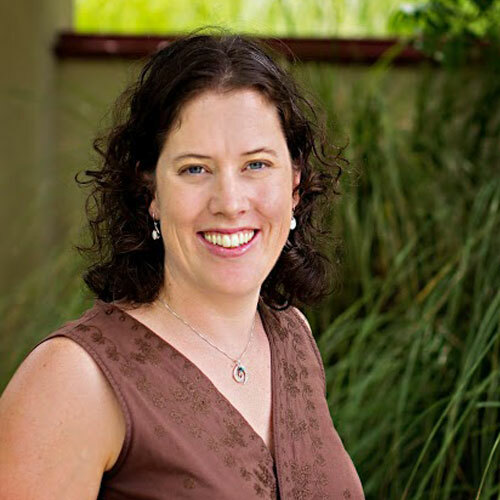 I started gaining knowledge and experience twelve years ago and have been to many workshops, done extensive reading, worked with home birth midwives and completed a three-month internship at a free-standing birth center with a very high volume of births. In three months, I was present at 100+ births as well as hundreds of prenatal appointments and postpartum check-ups. This extensive experience has made me very familiar and comfortable with labor as a normal process and aware of what laboring women’s needs are. 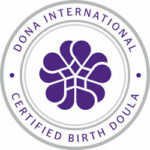 I attended a DONA doula training in 2014 and certified in 2017. I continually take workshops, trainings, and read professional literature pertaining to the field to stay current and to further expand my knowledge base. I am committed to the role and scope of a doula, providing the informational, emotional and physical support that encompasses doula care and is an important factor in creating a positive birth memory. I am the mother to three boys and my experiences giving birth have transformed me in ways I never would have anticipated and taught me many lessons. I believe my insights will help me to offer much more effective support to women in all kinds of circumstances. I am passionate about birth and love to serve all women, but I have a special heart for women hoping to VBAC and especially want to support them. I was able to accomplish a VBAC in both 2010 and in 2016, so I know firsthand how much support and reassurance is often needed to build up and reaffirm belief, confidence, and trust in the body’s ability to birth after a previous cesarean surgery. I started gaining knowledge and experience 10 years ago and have been to many workshops, done extensive reading, and worked with many home-birth midwives. I have been present to over 100 births as well as hundreds of prenatal appointments and postpartum check ups. My labor support package includes: phone and text communication to offer support and assistance in finding information, being on call for your birth from two weeks before until two weeks after your EDD, my continuous presence for the entire length of your labor at your place of birth. I will come when you request my presence. Two prenatal meetings where we can discuss any fears, concerns, address questions, as well as build a rapport and get to know each other and discuss wishes, desires, and needs for your labor and birth. Assistance with creating a birth plan if desired is also offered. We can practice labor coping skills such as breathing and relaxation if desired. Also included is one postpartum appointment within two weeks of the baby’s birth. The purpose of this visit is to debrief the birth experience, share observations and events from my perspective as the doula and receive your feedback on my role. What was and wasn’t helpful, how to improve, etc. I greatly appreciate all of the support Maria provided me during my daughter's birth. Having a doula definitely assisted me with feeling supported and dealing with the unexpected. Thank you Maria! Maria was there to support me through it and let me know that I did great and it was Ok. She advocated for me with the nursing staff and stayed until I was settled in. I chose Maria because of her large amount of experience and births attended and I'm happy to be added to the list! Call me at 530-215-6873 or fill out the form below and I will get back to you as soon as I can.